Ti CC1100 is a radio transceiver for 300-348 MHz, 400-464 MHz and 800-928 MHz ranges. 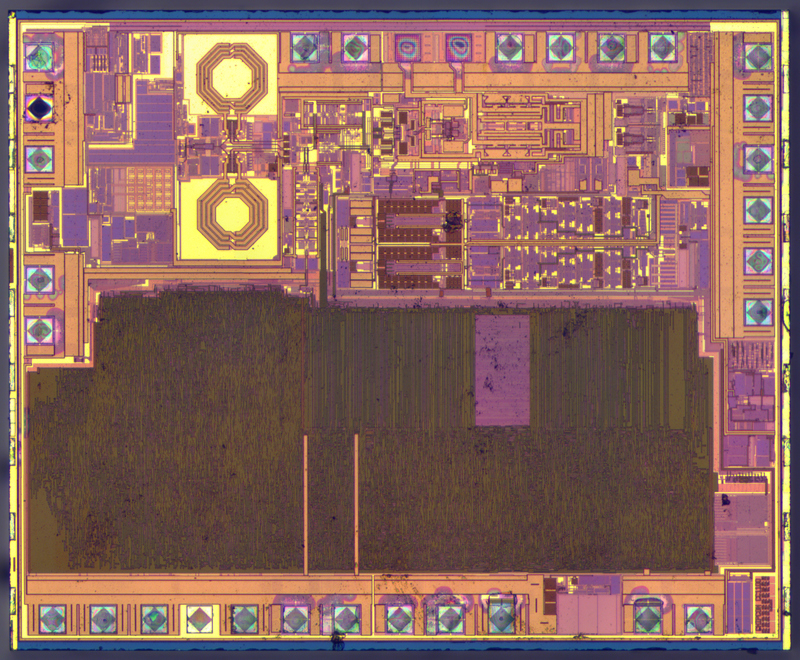 Apparently there are 30 initials of the people, involved in the design of this chip mentioned at the lower right corner. Although this chip was designed after Ti acquisition of Chipcon (that happened in January 2006), it is still marked as Chipcon.